Join us for our Good Friday service (April 19th) at 6:00PM, as we somberly remember the sacrifice our Lord has made for our sin. The night will consist of Christ-centered music led by the praise band, solo music performances, worshipful songs from our choir, and communion. He is risen! He is risen indeed! 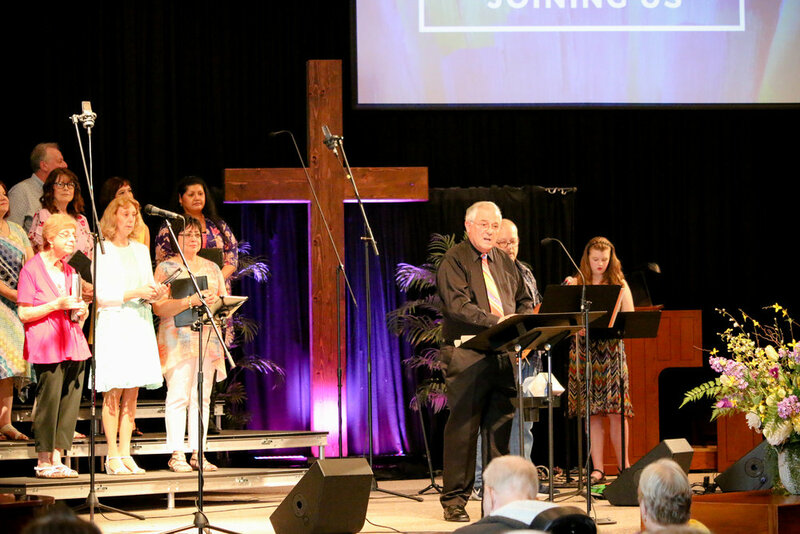 Join us on Easter Sunday (April 21st) at 10:45AM as we celebrate the resurrection of the Lord Jesus Christ through celebratory and worshipful music led by our praise band, choir, and soloists. Come also expecting special performances from our OABC Kids as well as an engaging message from Pastor Stuart. Dress how you feel comfortable. We want to create an environment where you can be comfortable enough to engage with us and encounter God without distraction. At OABC, you’ll find people dress casual, business casual, and others wearing traditional Sunday apparel. We strive to create environments that are both safe and celebratory of the child’s age and stage of life. We have a new, well kept nursery and well kept facilities for children and youth. Our teachers and staff undergo background checks and regular training and equipping to ensure that the very best care is being provided for the children at all times. We love what we do and the children we get to work with! Nursery care is available during Sunday School and AM worship for Easter. *Children will join the adults for worship. *Students will join the adults for worship.